The Great Canadian Birdathon is complete, and what a birdathon it was! 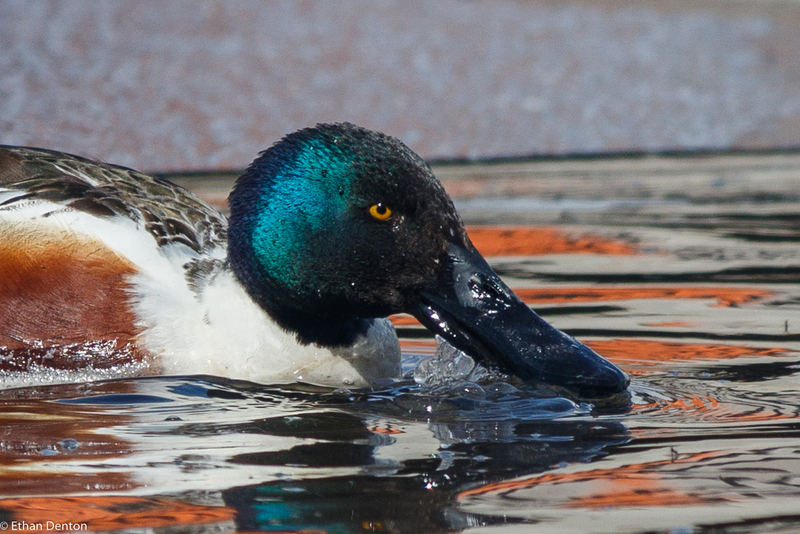 With a final species count of over 115 birds, we beat last year’s total in a shorter time. Somewhat encumbered by my persistent illness, we set off in Water Valley at 5:30am and completed the count at Lac Des Arcs by 9:30pm. 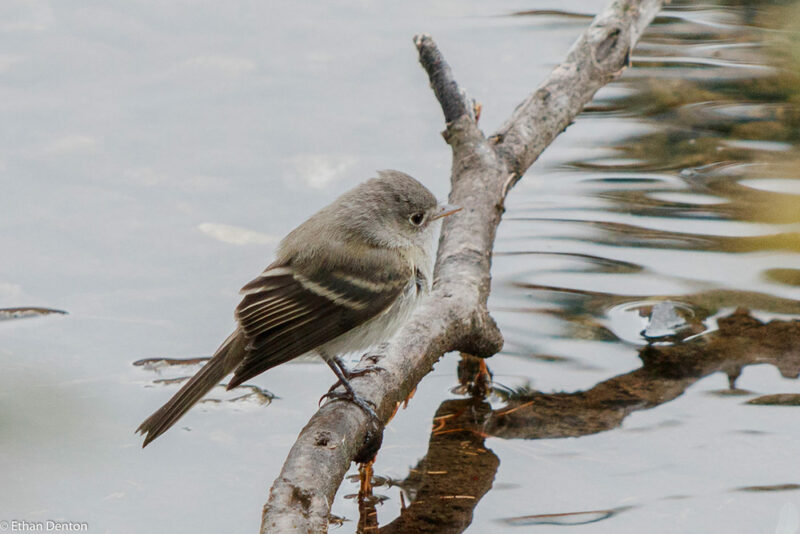 One of our first birds of the day was the Least Flycatcher, a species which, along with the ubiquitous Clay-coloured Sparrow, turned up at almost every location we visited. We headed out to a bridge whch we knew was quite good, and picked up over 30 species there, including a singing Blackburnian Warbler and my FOY Yellow-bellied Sapsuckers. 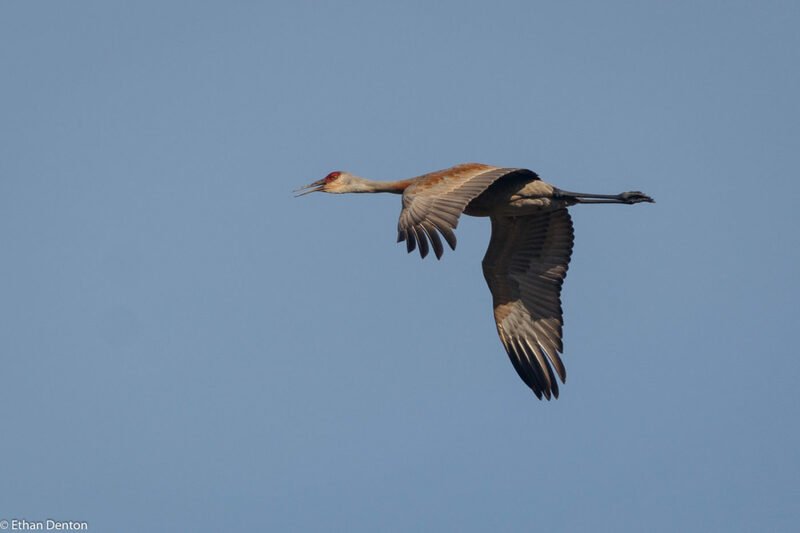 A few kilometers NW, at a marsh where we hoped to pick up Swamp Sparrow, Ovenbird and an early Yellow-bellied Flycatcher, we were greeted by a very obliging pair of Sandhill Cranes, which flew overhead, echoing their guttural calls for all to hear. Unfortunately, we dipped on the Ovenbird and Yellow-bellied Flycatcher, but we did find Rose-breasted Grosbeaks, Baltrimore Oriole and a few Northern Waterthrushes to bring the day’s count up to 45. Two days previous, Miles Tindal and I had located a breeding Cape May Warbler on the Horse Creek Road, so we pulled over there on the way to Horse Creek Road Marshes and not only found the male warbler, but heard a Cassin’s Vireo to boot! 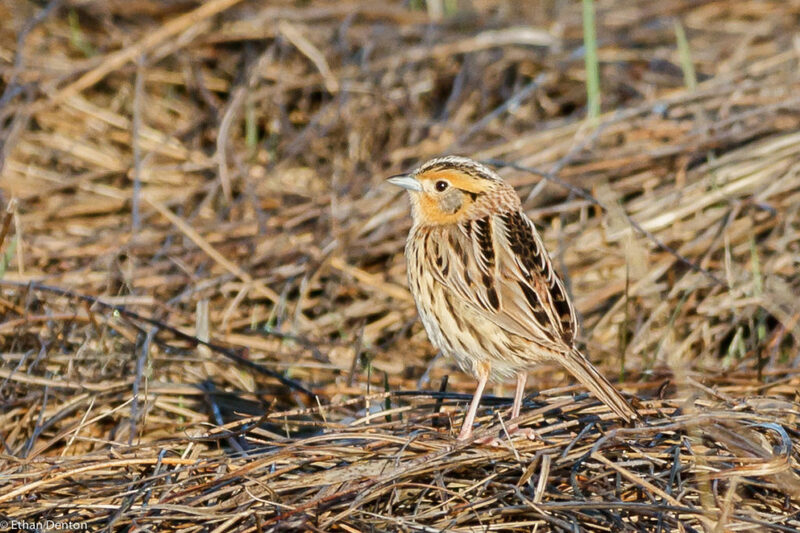 At the marshes, we found very little, but did manage to identify a single Le Conte’s Sparrow amid the Savannahs. Since we were still lacking the Swamp Sparrow, we made a little detour to Winchell Lake where we successfully relocated one of these pretty little birds. Now came the strange part of the day. Having little hope of a great birdathon in terms of numbers (we were planning to end early, remember), we headed out on a wild goose chase to find a Green Heron which had been seen at an undisclosed location, and we were guessing where it could have been, thanks to the wealth of knowledge belonging to Dan Arndt of Calgary, who knew an area which resembled the photos of the bird. 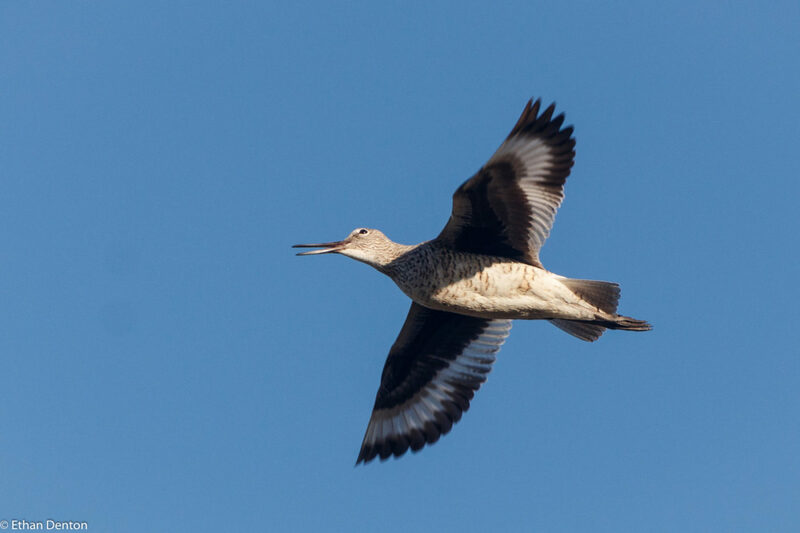 Needless to say, we missed the heron, but the journey out to the spot was quite fruitful, turning up Baird’s, Pectoral and Semi-palmated Sandpipers, and other shorebirds including many Wilson’s Phalaropes. 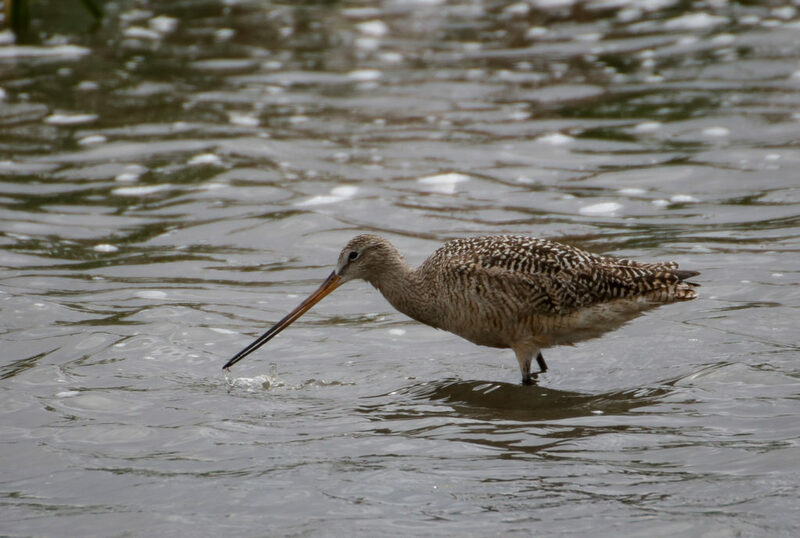 Proceeding now towards Frank Lake, we chanced upon a Least Sandpiper, some Black Terns and best of all, a Long-billed Curlew! Frank Lake was excellent as usual, though not at its brilliant best (there was a Little Blue Heron seen there today!). Barn Swallows offered good photography options, while White-faced Ibises and Forster’s Terns patrolled the skies. 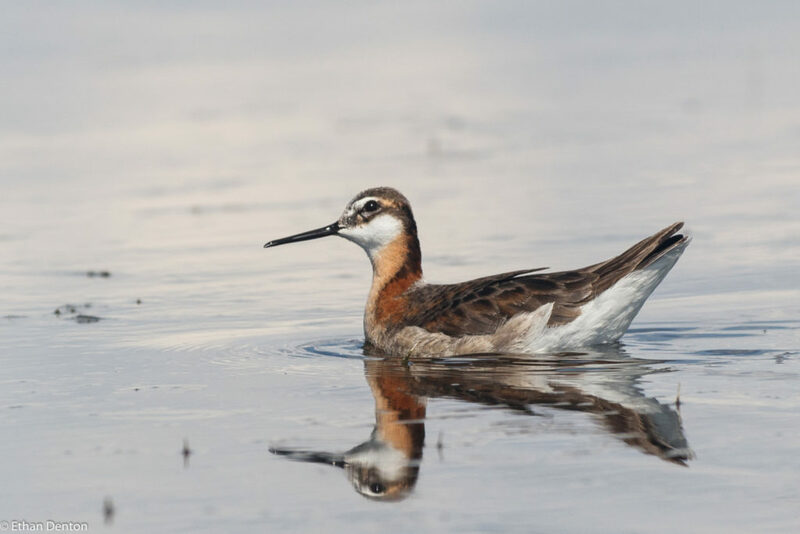 Eared Grebe and Ruddy Ducks ruled the water, and mixed in we found Red-necked Phalaropes, Western Grebes and a Marsh Wren in – surprisingly enough – the marsh. A stop in High River yielded European Collared-Dove and Pine Siskin, and we were almost at Bragg Creek when the text came in. 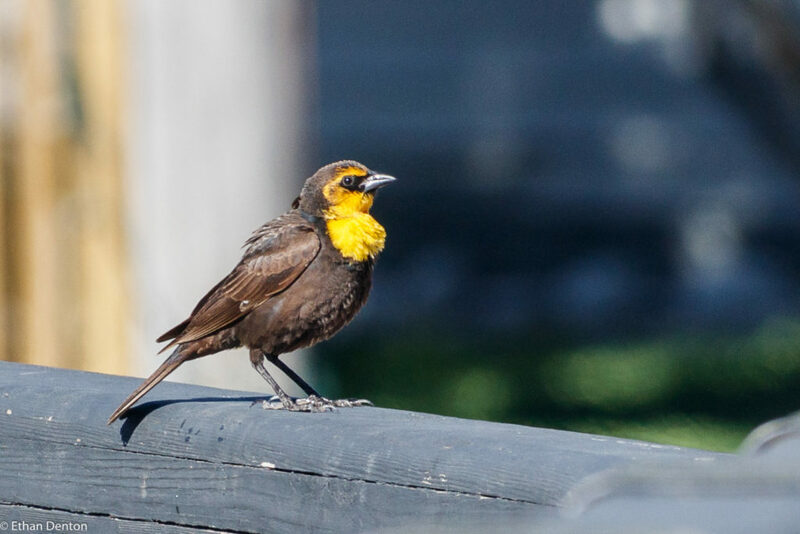 A bird has been seen at Langdon, a bird which almost never makes it as far North as Calgary. A Snowy Egret. 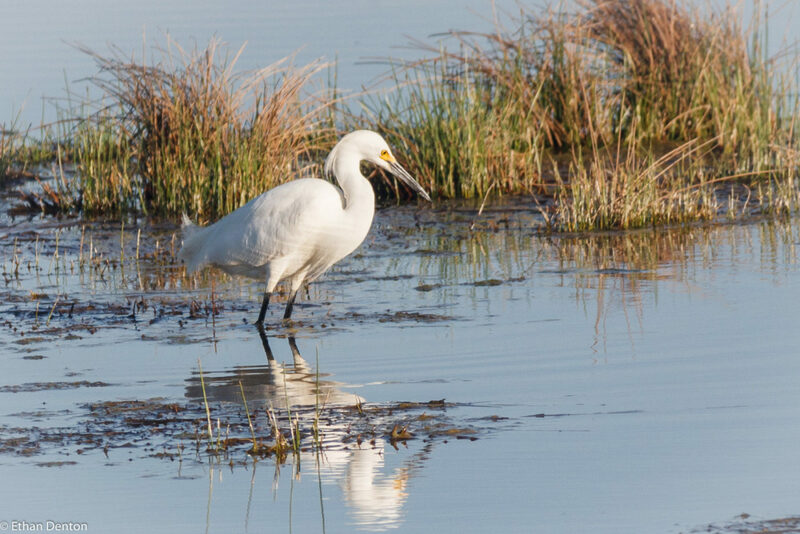 After originally hesitating due to the distance it was, we had no r-egrets about making the move to find it. 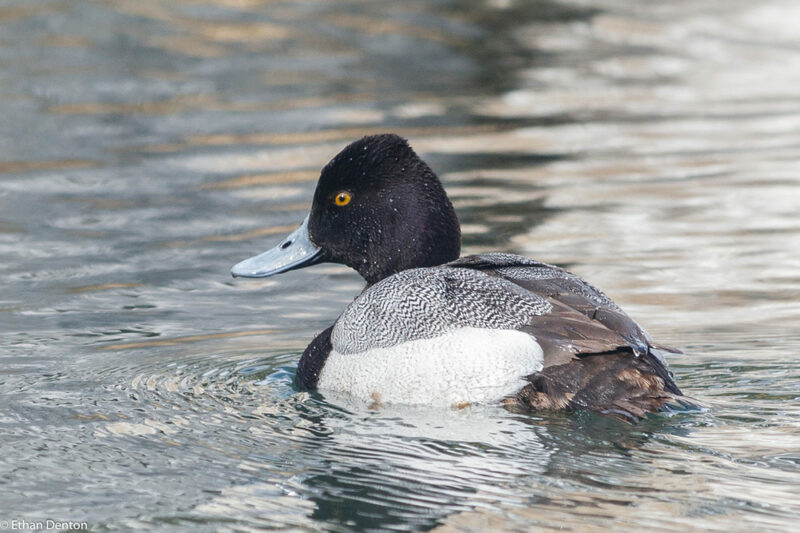 We concluded the day with a desperate stop at Lac Des Arcs to find, oddly enough, our first Common Goldeneye of the day. 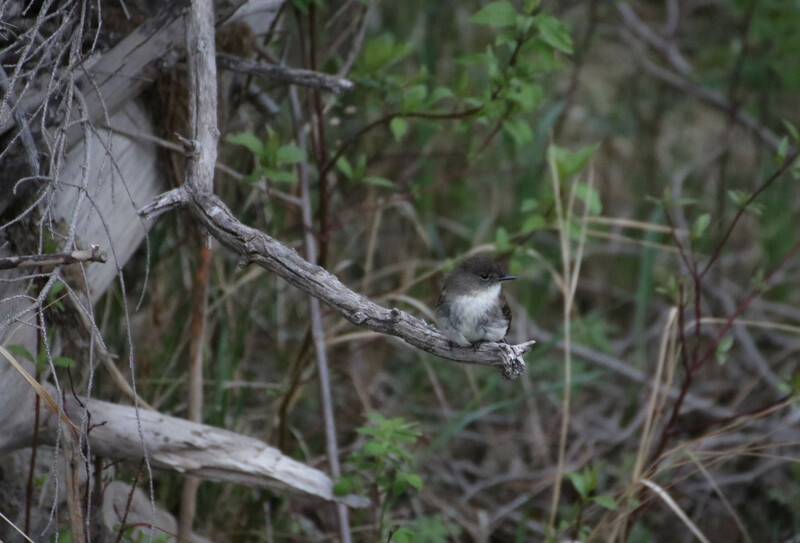 That rounded off our 2018 Great Canadian Birdathon – with no owls, eagles or falcons, and only three of a possible 7 thrushes, a strange one indeed. For any who want to see the full list of 117 species, click here. Please consider donating to this important cause! 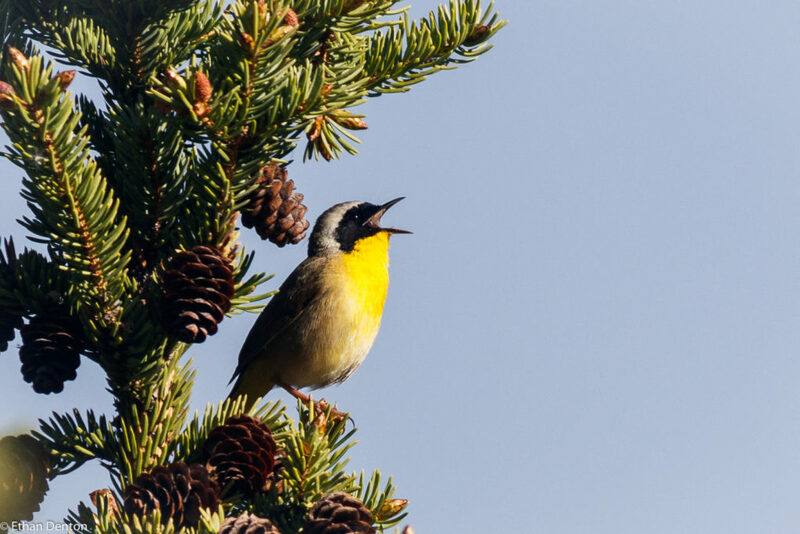 The birdathon is not only a great birding experience for participants, but it is also a crucial part of the fundraising efforts to protect our avian life, both in their breeding grounds in North America, and in their wintering territories farther south. To support our valiant volunteers in their vital work, make a donation to my fundraising page here. This entry was posted in Birdathon, Birding Trips, Birds, Gamebirds, Other, Passerines, Raptors, Shorebirds, Waterfowl on May 28, 2018 by BirdBoy. 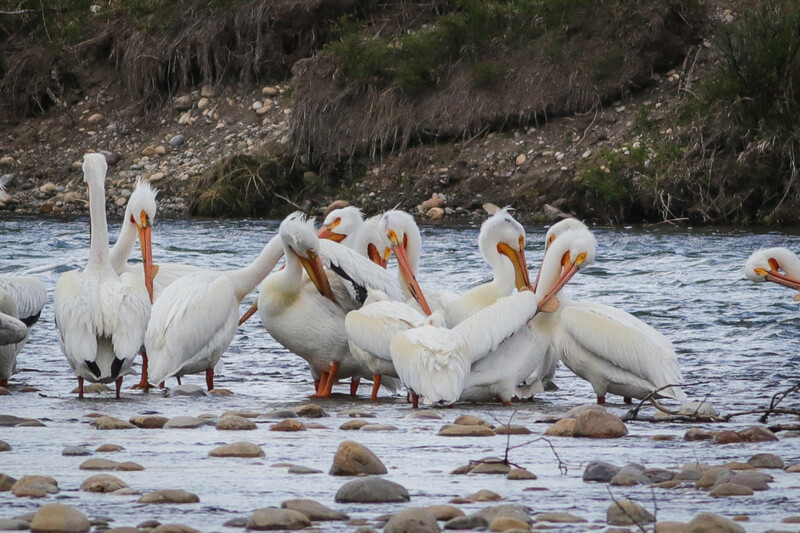 Eight people made their way to the walk on this fine spring morning in Canmore. We started early, heading down the boardwalk and then back via the Mallard Pond overlook, catching a total of 27 species. Yellow Warblers are still yet to arrive, but the first Sora of the year whinnied from the reeds, and a plethora of sparrows buzzed and whistled across the marsh. 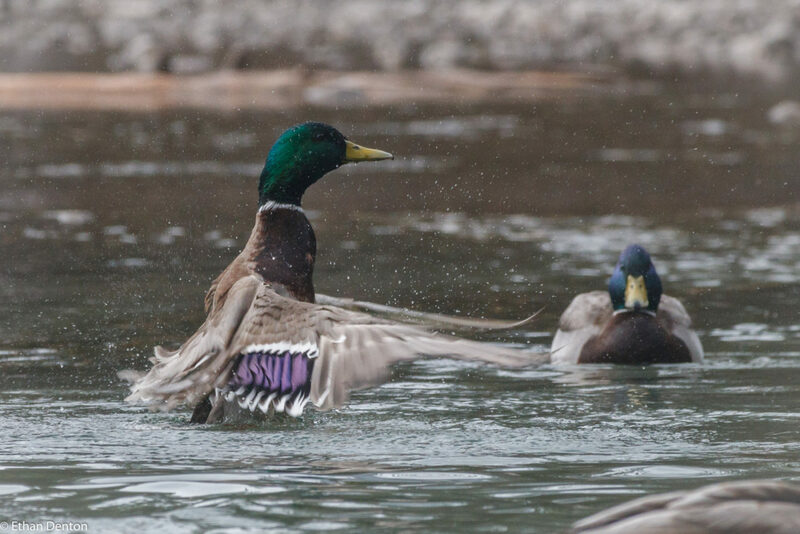 Mallards shone in their breeding plumage. 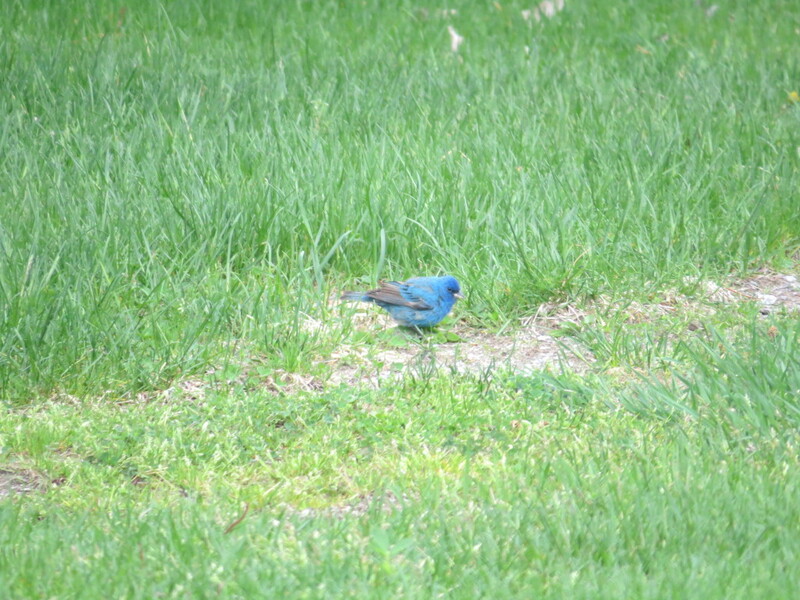 The real highlights, however, were the many blackbirds. Brown-headed Cowbirds fluted their notes above, while the “Ko-kaaachunk!” of the Red-winged Blackbird reverberated around the creek. Also present were Brewer’s Blackbirds setting up their territories, and a lone Common Grackle flew over towards the end of the walk. 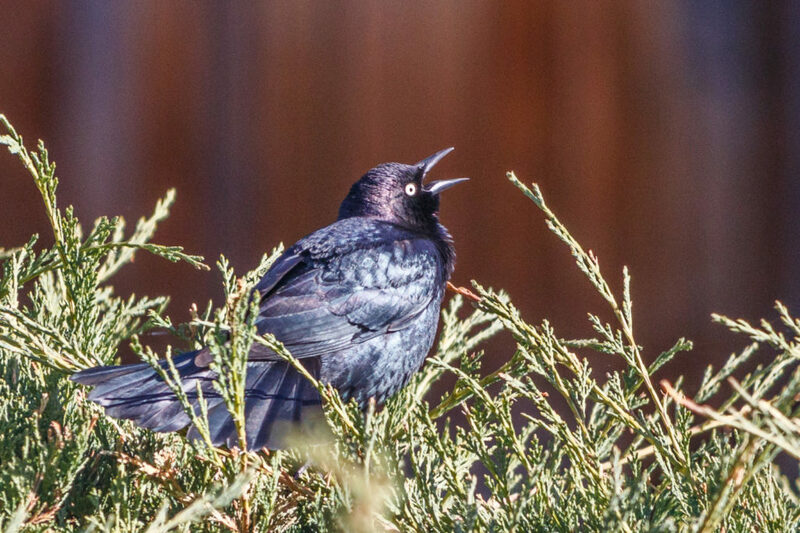 A male Brewer’s Blackbird lays claim to its home patch. For those who want to see the full list, click here. I hope to see you all out for our next walk, on May 27th at 7:15! By then, we can expect a good many more species, including the likes of Yellow Warbler and American Redstarts. 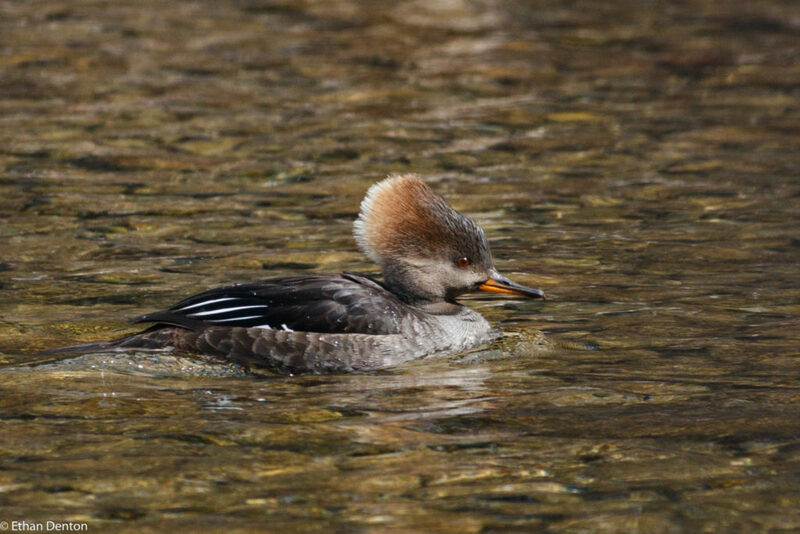 This entry was posted in Birding Events, Birds, Other, Passerines, Policeman's Creek Trail, Waterfowl on May 13, 2018 by BirdBoy. Sorry for not posting in a while – I’ve been busy with school and sports, but that should be cooling down for a few weeks before my final exams, so I should be posting more soon. 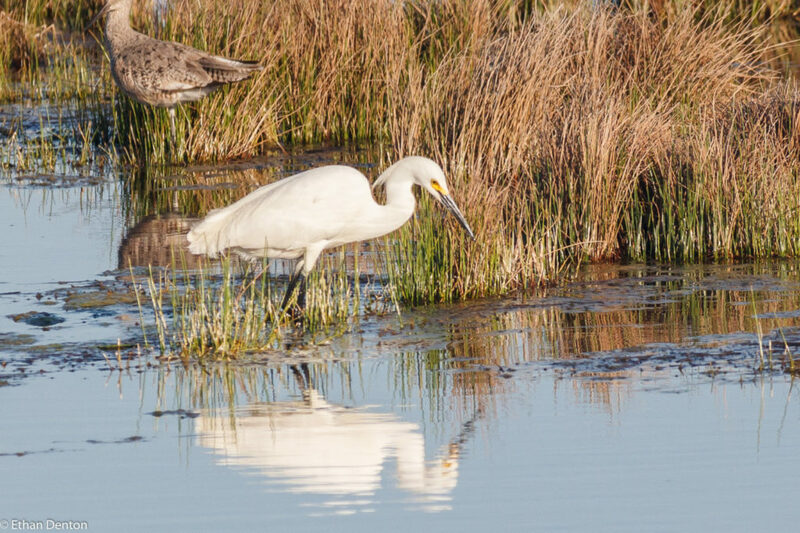 As more and more birds stream into the province, the annual assortment of birding events, festivals and counts begins. Already, the Global Big Day has been and gone, with 6,098 species reported by over 28 thousand observers on May 5th. 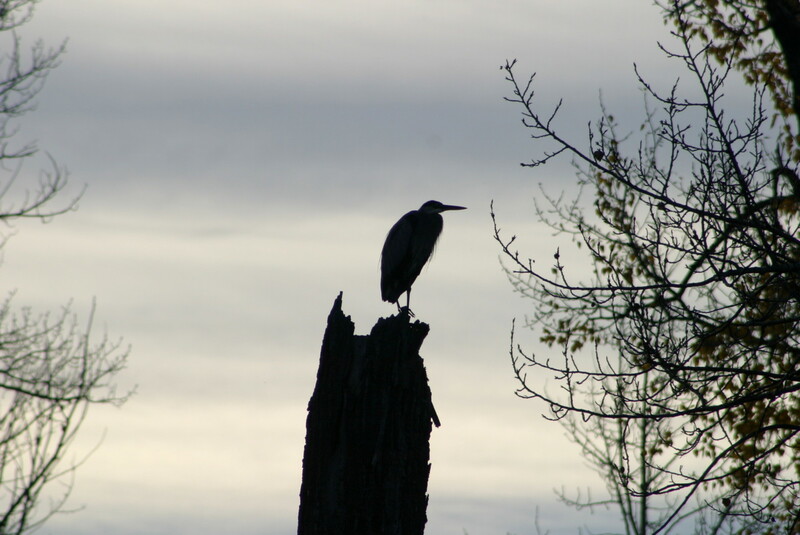 One of the biggest events yet to come (at least for me) is the Great Canadian Birdathon. This will be my 6th birdathon, and my 2nd as part of the Saw-it Owls team. I’ll be joining up with Gavin McKinnon of Calgary once more, searching for roughly 125 species in Southern Alberta. 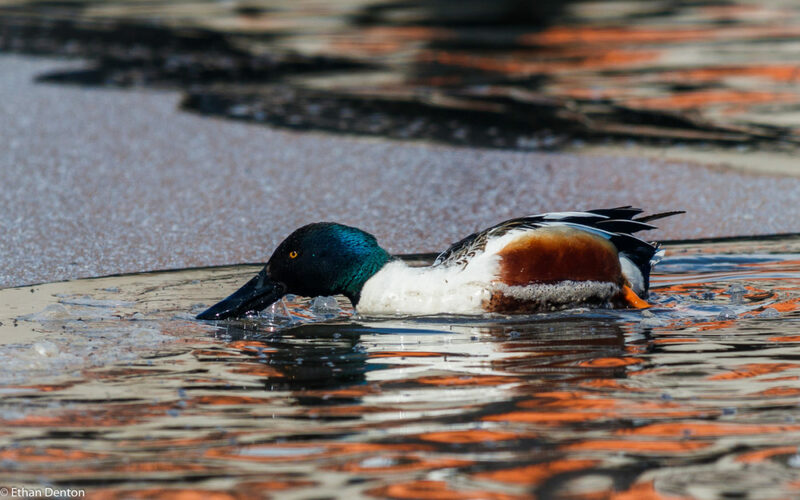 While we failed to reach that target last year (112 species), we have high hopes and a completely different route this May, hitting some of the best habitat in Alberta. 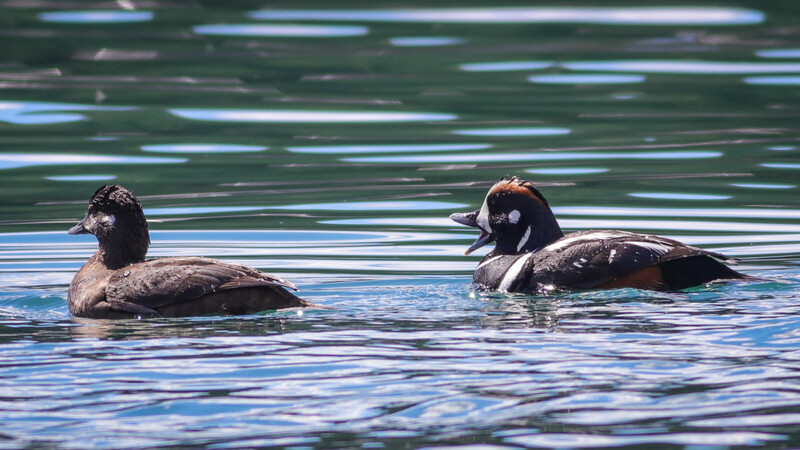 The highlight of last year, Harlequin ducks are looking pretty unlikely with the altered route. 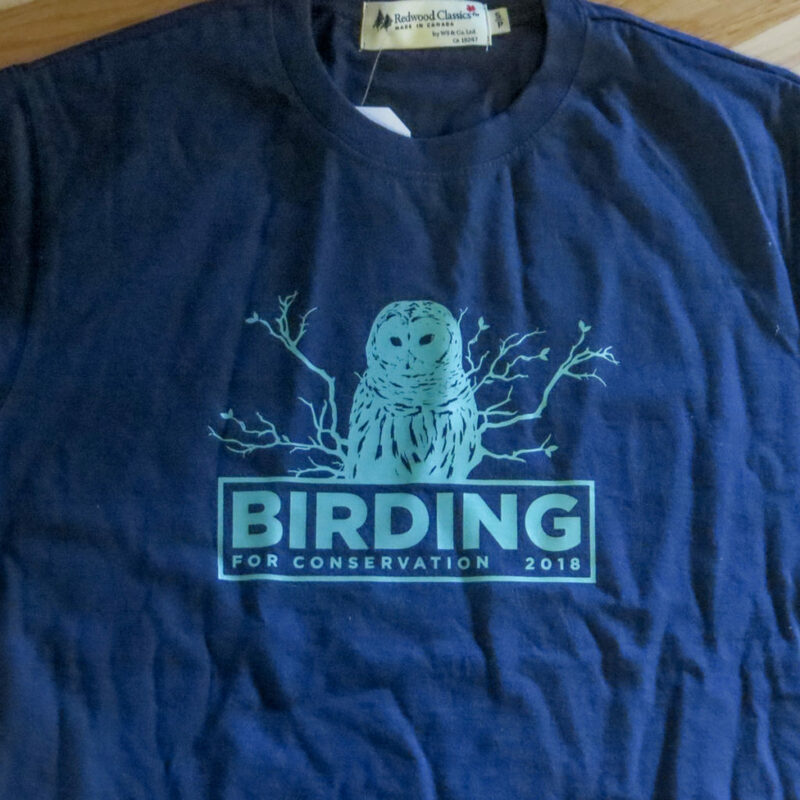 For those who don’t know what the birdathon is, it’s a fundraiser run by Bird Studies Canada with intent to protect our birds and preserve their habitat. Participants accept donations either as flat amounts (e.g. $25) or by a per-species gift (e.g. $1 for every species found). Then, we choose one 24 hour period in the month of May to go out and find the most bird species possible. It’s always been a great time, and all for a worthy cause. 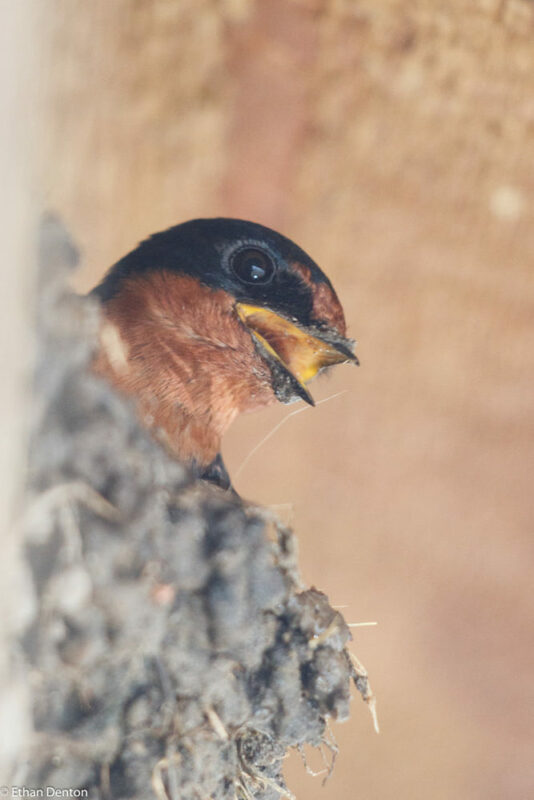 Anybody interested in helping out with the fundraiser can go here to donate, or sign up through the Bird Studies Canada Birdathon Page. 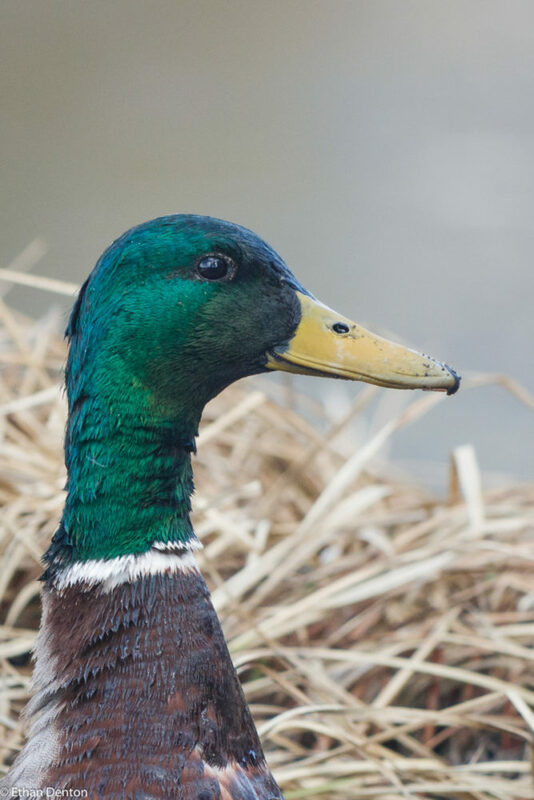 Thank you everyone who has donated already, and if you haven’t, consider joining the cool crowd by doing so, to keep our backyard beauties in fine feather! Don’t forget to donate here! 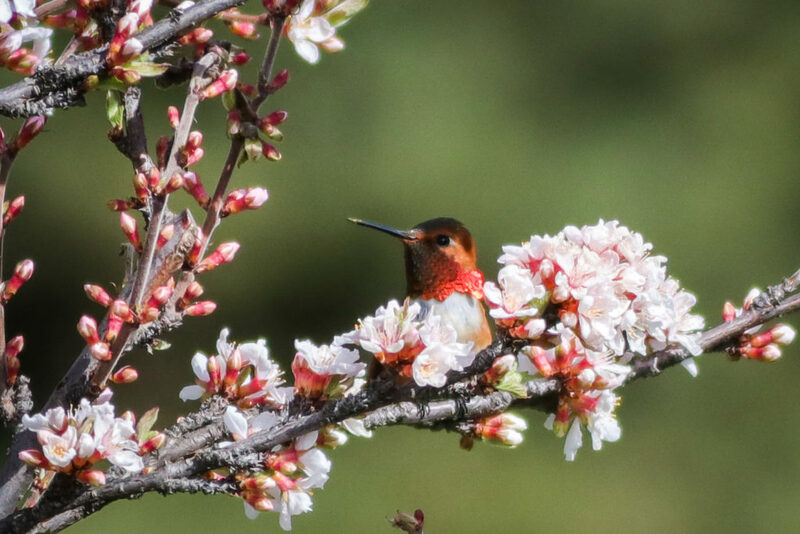 This entry was posted in Birdathon, Birding Events, Birding Trips, Birds, Lifers, Other, Raptors, Waterfowl on May 11, 2018 by BirdBoy. 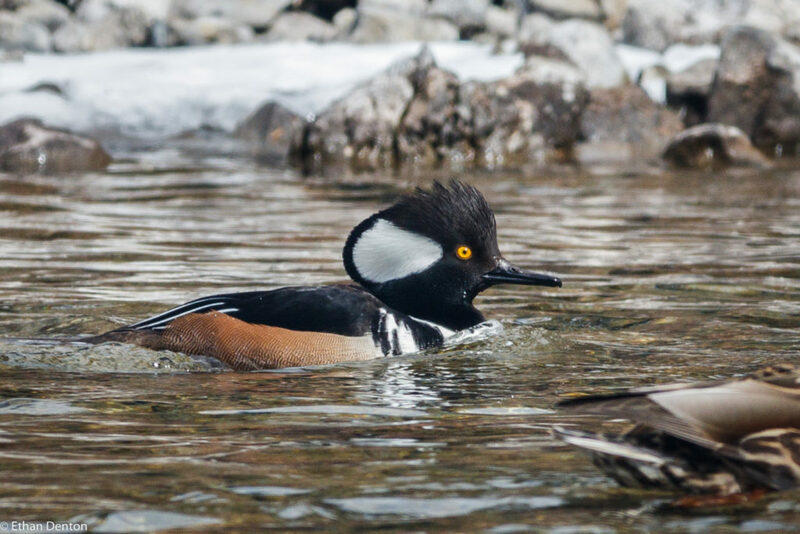 It was a cold, wet kickoff for the Canmore Spring Bird Walks this year, but well worth being out! In the early morning chill, a Great Blue Heron flapped across the boardwalk, where Song Sparrows, Yellow-rumped Warblers and some newly arrived Lincoln’s Sparrows burbled out their cheerful melodies. Four American Pipits feeding amongst the rocks in the big pond were nice, and almost made it as the highlights of the day. Sadly, we missed the Sora which came in on Friday, but towards the end of the walk we ran into a large mixed flock of White-crowned Sparrows, Lincoln’s Sparrows, Ruby-crowned Kinglets and Song Sparrows. Scanning the flock for Orange-crowned Warblers, a loud, harsh “Veeeeer” rent the air behind us. 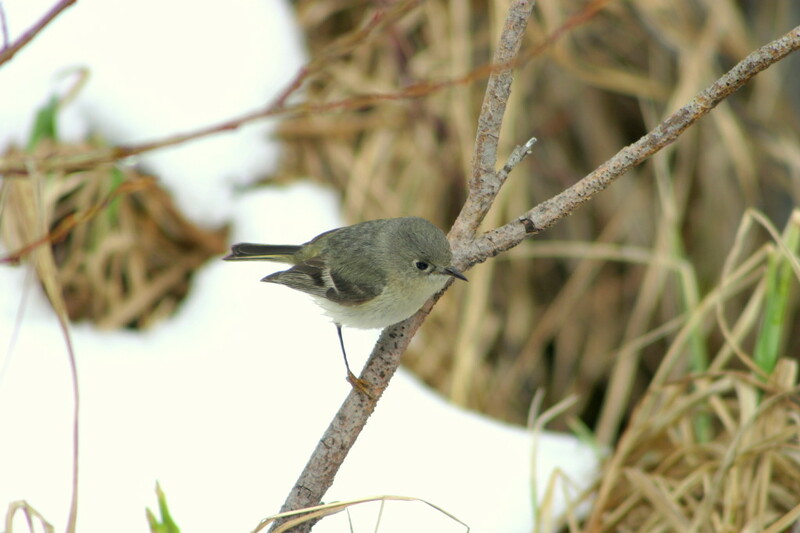 Warbling Vireo! 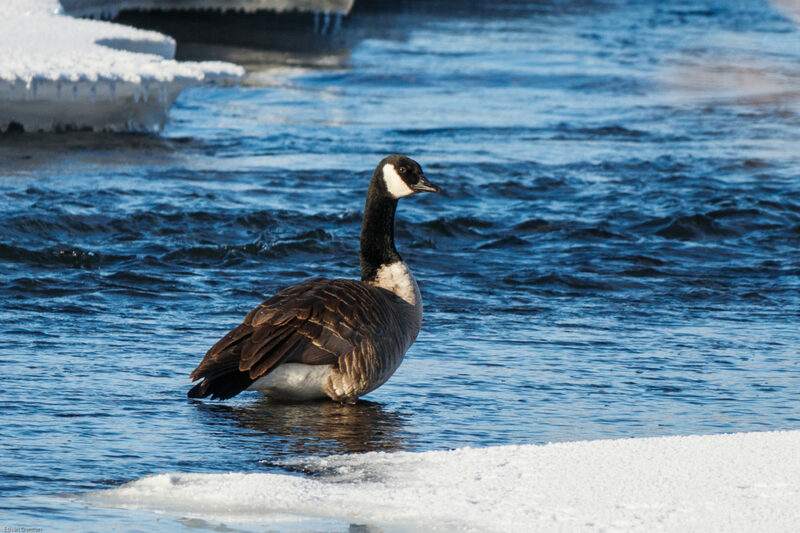 This bird is the first reported in Alberta this year. 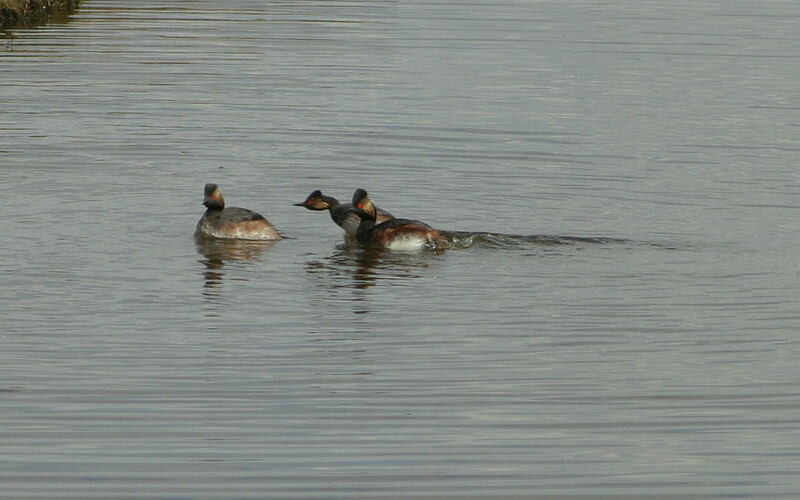 I unfortunatly failed to procure any photos, but there is no doubt about the identification. The usual mix of starlings, chickadees and robins rounded off the trip, but the Vireo took the cake. 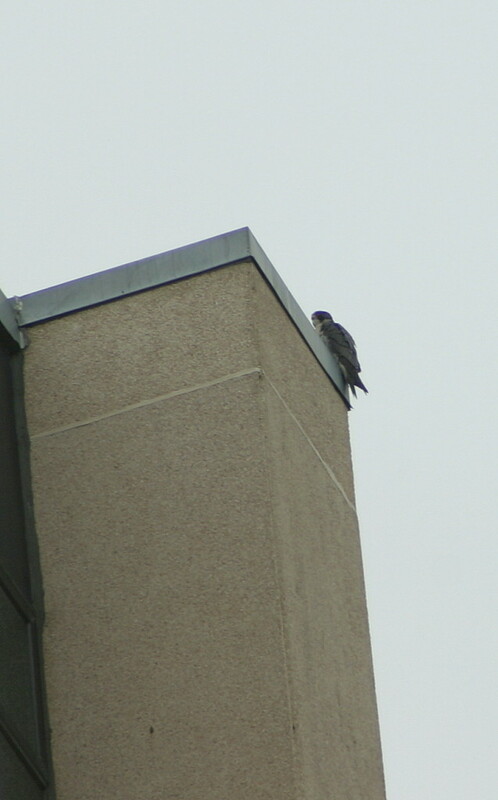 May this be a lesson to you who chickened out because of the rain – twice the first walk has been in poor weather, and twice it has turned up great birds (See May 7th 2017). I hope to see you out for the next walk on May 13, rain or shine! This entry was posted in Birding Events, Birding Trips, Birds, Other, Passerines, Policeman's Creek Trail, Shorebirds, Waterfowl on April 30, 2018 by BirdBoy. 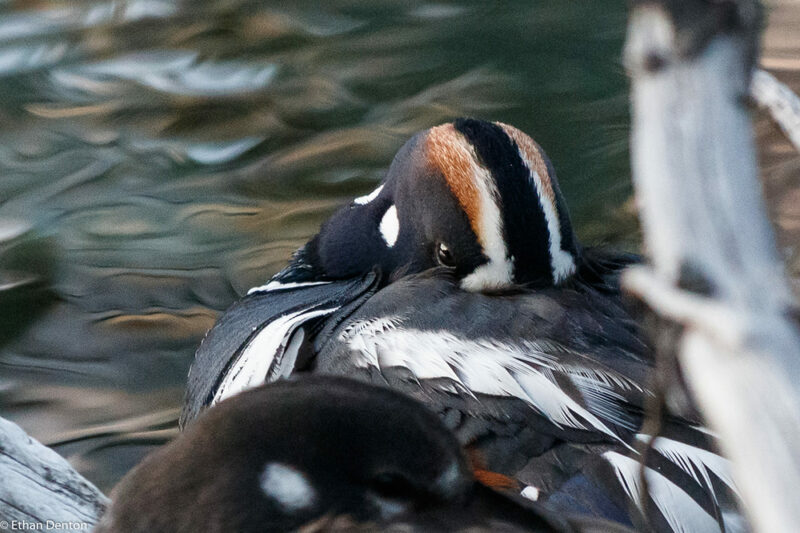 As more and more birds turn up, some are bound to end up in odd places, like these Hooded Mergansers on Policeman’s Creek. This is only the second or third time I have seen them there. 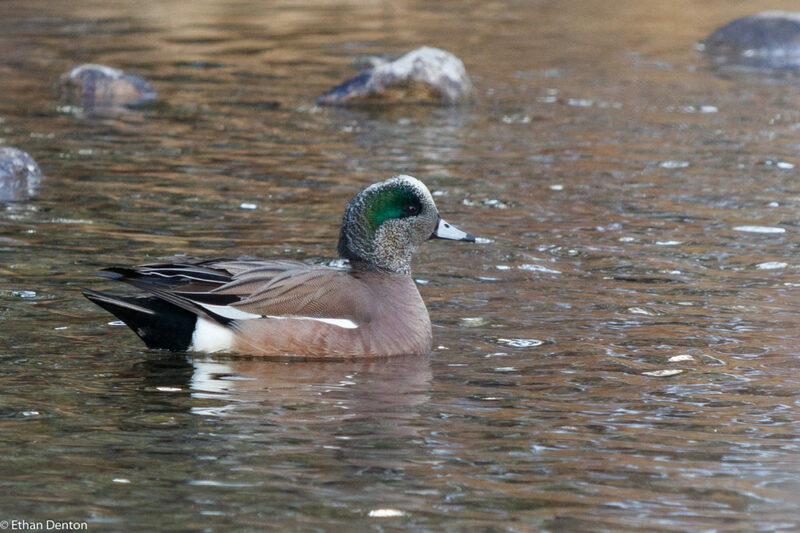 This entry was posted in Birds, Feathers on Friday, Policeman's Creek Trail, Waterfowl on April 6, 2018 by BirdBoy.